The country's premier songwriting competition, PhilPop has recently announced its roster of interpreters for the 2018 lineup. With the theme "Music. 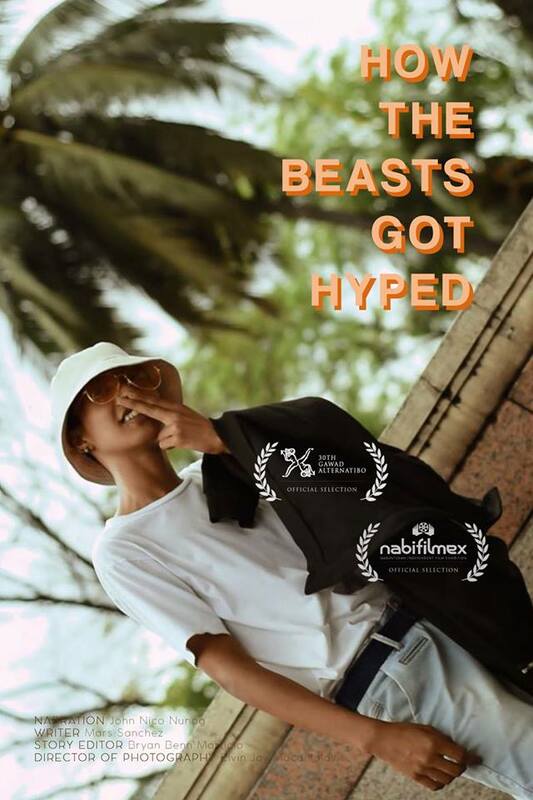 Powered by Pinoys," the foundation continues to defy expectations by championing homegrown talents from different backgrounds and music genres. Handpicked to interpret the compositions of the top 30 semi-finalists are the following music acts: Davey Langit and the band for Kenneth John Pores' "AEIOU", Feel Day and Hans Dimayuga for Jeriko Buenafe's "Ako, Ako", Wincet Jacot and Medyo Maldito for Eamarie Gilayo and Jovit Leonerio's "Away Wa'y Buwagay", Michael Llave for his own song "Bumbero", Ferdinand Aragon for his own composition "Di Ko Man", RJ dela Fuente for Mark Jay Felipe's "Ikaw Ang Aking Pag-ibig", Jex de Castro for Carlo Angelo David's "Isang Gabing Pag-ibig", Acapellago for Philip Arvin Jarilla's "Kariton", Ataska and Nash for Sarah Bulahan's "Kelan Kaya", Carlyn Ocampo and Joshua Feliciano for Karlo Zabala's "kilabI", Leanne and Naara for Jeremy Sarmiento's "Korde Kodigo", Cacai Bautista for Elmar Bolaño and Donel Transporto's "Laon Ako", Russ Cabico for his own entry "LDR (Layong Di Ramdam)", Kyle Pulido for his own material "LGBT (Laging Ganito Ba Tayo? 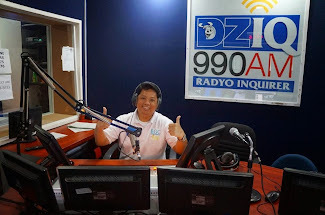 )", Bayang Barrios and Niliyagan for Agatha Marallos and Melvin Joseph Morallos' "Lilipad", BennyBunnyBand for Edgardo Miraflor Jr.'s "Loco De Amor! 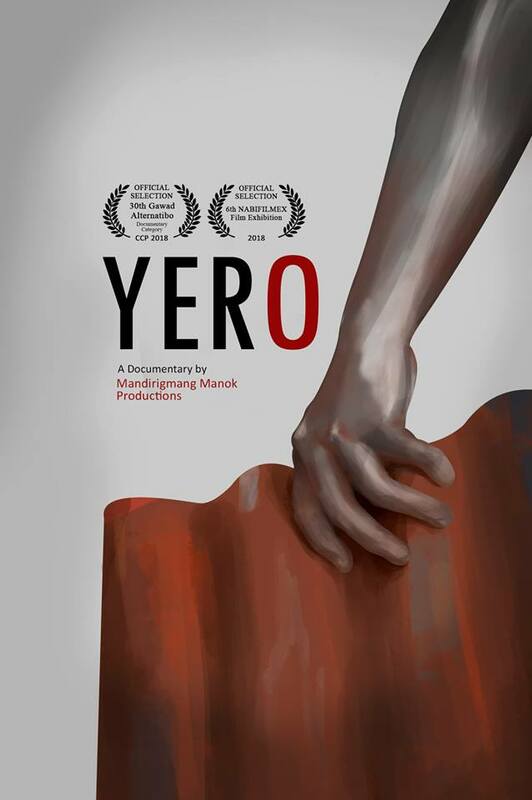 ", Carlo Angelo David for his own track "Makisabay", Caleb Santos for Paul Hildawa's "Mahirap Magselos", Nitro for Marvin Blue Corpus' "Malilimutan Din Kita", Jeric Medina for Oliver Narag's "MMRA", Chud Festejo for his own composition "Nanay Tatay", Thyro Alfaro for Aikee Aplacador's "Oka", Jem Cubil for Barry Villacarillo's "Perfectly Imperfect Human", Julian Trono for Sean Gabriel Cedro and John Ray Reodique's "Pilipit", Yumi Lacsamana for Aikee Aplacador's "Promise Sorry Note", The Juans for Agatha Morallos and Melvin Morallos' "Pwede", Katrina Velarde for Michael Rodriguez and Jeanne Columbine Rodriguez's "Tama Na", Therese Villarante for Therese Marie Villarante and Henrick James Pestaño's "Unang Adlaw nga Wala Ka", Ignacio Dennis Roxas for his own song "Utang", and Eunice Jorge of Gracenote for Donnalyn Onilongo's "Yun Tayo (Formerly Taken)". 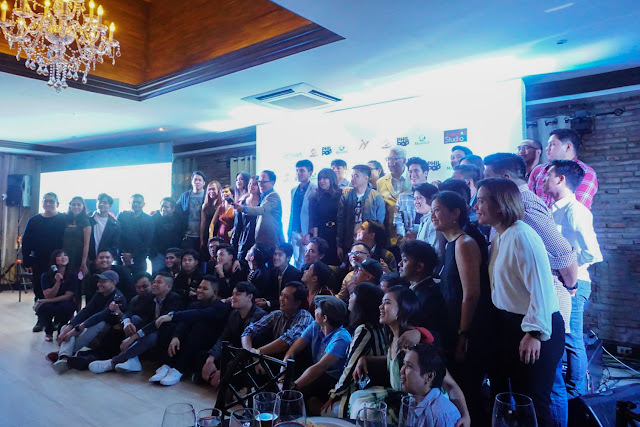 A video featuring the 30 interpreters was showcased during the Philpop Reveal and Listening Party last September 12 at the 2nd floor of Cafe 1771, Pasig City. 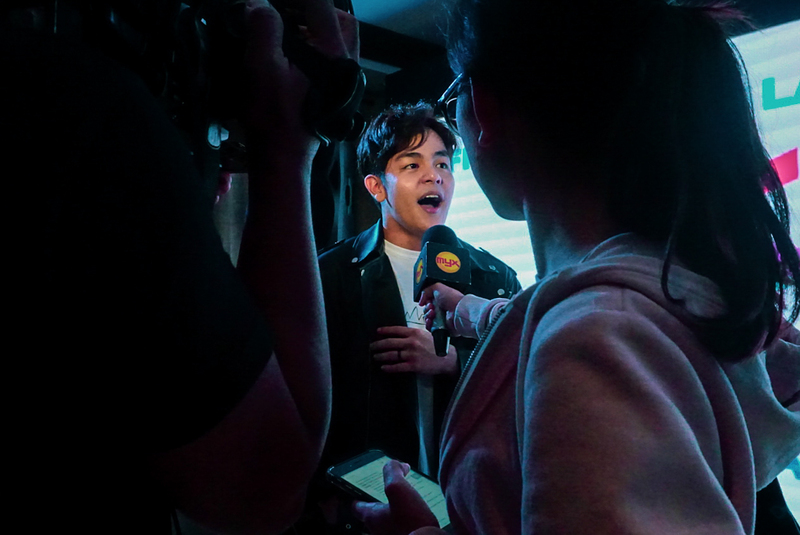 Viva Records, for its part, supervised the official recording of the songs which will be available on platforms such as Youtube and Spotify on September 17 at 12 noon. 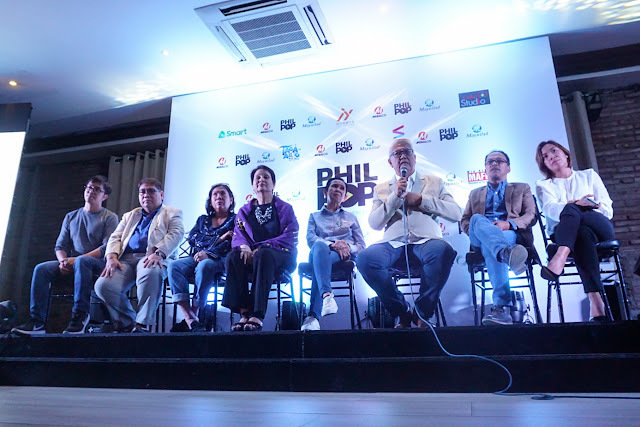 PhilPop takes pride in its advocacy to provide a sustainable platform for Filipino music acts to develop their skills through a world-class mentorship program, as well as introduce them to standard music industry practices and strategies that would harness their potential in the long run. 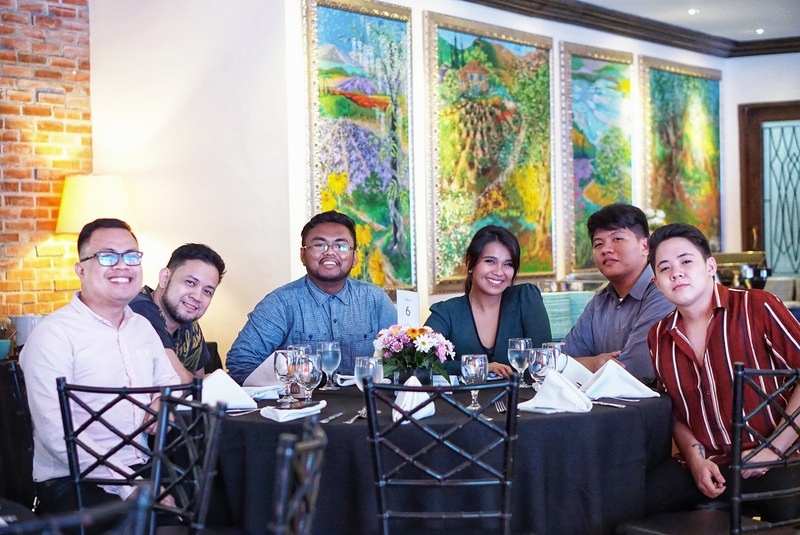 "This year’s PhilPop campaign emphasized the meaning of unity, camaraderie, mentorship and most importantly, of generosity and the importance of giving back," PhilPop Executive Director Dinah Remolacio shares. "Former alumni and bootcamp coaches now serve as producers, arrangers, and even interpreters to some of the compositions. What was once a rigid competition with a coveted grand prize became an avenue to build and strengthen relationships among competitors and coaches." PhilPop 2018 is an initiative of the PhilPop Music Foundation, chaired by Mr. Manny V. Pangilinan. This year's PhilPop is supported by Mid Atlantic foundation for Asian Artists, Inc. (MAFFAA, Inc.), NYXSYS Philippines, Maynilad, Meralco, Smart, Viva Records, Ortigas and Co., Coke Studio, NCAA, OPM, Gabi Na Naman Productions, and PETA. 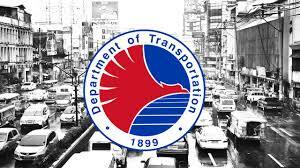 The Department of Transportation (DOTr) and all its attached agencies and offices are on full alert to ensure the safety of passengers as Typhoon Ompong hits the northern part of the country. “We are at your disposal. Your government is ready to respond. We can weather the storm, together,” said Tugade during a coordination meeting in Tuguegarao this morning. 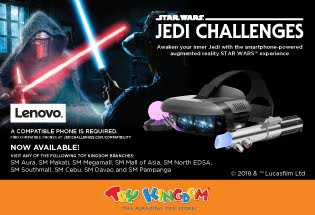 “Sisikapin po natin na tugunan ang pangangailangan ng mga pasahero. Nauunawaan po namin na kalbaryo ang maghintay at matengga sa mga pantalan at airport pero kunting tiis at pasensya lang po ang hiling namin. Para po ito sa inyong kaligtasan,” said Tugade. Apart from disaster response, Secretary Tugade gave specific instructions to all heads of agencies to plan out instantaneous restoration of transportation services as soon as the weather clears out. Upon instructions of President Duterte, Secretary Tugade flew to his hometown of Cagayan to personally supervise and monitor ongoing preparations for the typhoon. To make sure that all efforts are coordinated, Secretary Tugade also sat down with local officials in a command conference held at the Provincial Capitol of Cagayan. Secretary Tugade said the best and only weapon to combat the storm is adequate preparation. Secretary Tugade is joined by fellow Ilocano, Department of Labor and Employment (DOLE) Secretary Silvestre Bello III, DOTr Undersecretary for Aviation Manuel Antonio Tamayo, Assistant Secretary for Procurement Giovanni Lopez and officials from CAAP, PCG, Philippine Ports Authority (PPA), and MARINA. There are so many beautiful places around the Philippines: Boracay, Mactan, Chocolate Hills. The list goes on and on. Visiting the Philippines should definitely be on your bucket list. Despite having a rather unstable political situation in the country, the Philippines continues to be a very desirable location for tourists. According to Statista, the number of travelers to the Philippines will rise up to 4.3 million by the year 2021. But besides being a very touristy place, the Philippines are a rather distant place and pretty expensive to travel to. But how can you afford traveling to this paradise if you’re a student on a budget? 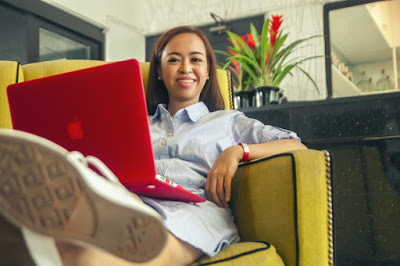 Let’s take a look at the top 7 hacks for every student who wants to travel around the Philippines and not spend the whole fortune on it. Despite rather warm temperatures, the Philippines often have storms coming around, so make sure that your trip doesn’t coincide with a rainy period on the islands. Google Flights: of course, Google is a go-to website that can show you the most affordable flights. You can choose the best option by using various filters. Skyscanner: besides having standard filters to find the cheapest flight, this website also allows you to find one from the airport nearby. This website can also help you find the cheapest hotel and other traveling services. CheapFlights: with many options to find a cheap flight to Manila, this website also has cheap vacation packages, so make sure to also check this section. Sometimes there are some pretty good offers there. Tip! If you really want to save some money on a flight to the Philippines, be ready to monitor these websites several times each day. Good offers come and go pretty quickly, so make sure that you catch them right on time. As you’ve seen on the picture with the forecast above, you’ve probably noticed that it’s usually pretty warm there. So bring only comfortable and simple clothes with you to make sure that you won’t sweat too much. Don’t bring all your money with you. There will be many pickpockets around you. But if you do need to carry all your money, insert cash in some other parts of your clothing, like shoes, socks or a bra. Don’t wear headphones in public. You need to be aware of your surroundings. Learn about the most common tourist scams before going to the Philippines, like fake travel agents and fake goods. Dorms outside Manila. Choose accommodation outside the city center. You can find a cheaper option, for example, in Palawan, where there are dorm beds for only $5 a night. Go local! Some locals will gladly offer you a room at a cheaper price. But make sure that you choose a trustworthy host. If you want an unusual experience, choose to stay in a shack on the beach. Such an option can cost you around $2 a night. Of course, make sure that the weather is warm and clear. When in the Philippines, don’t be afraid to try street food and drinks. 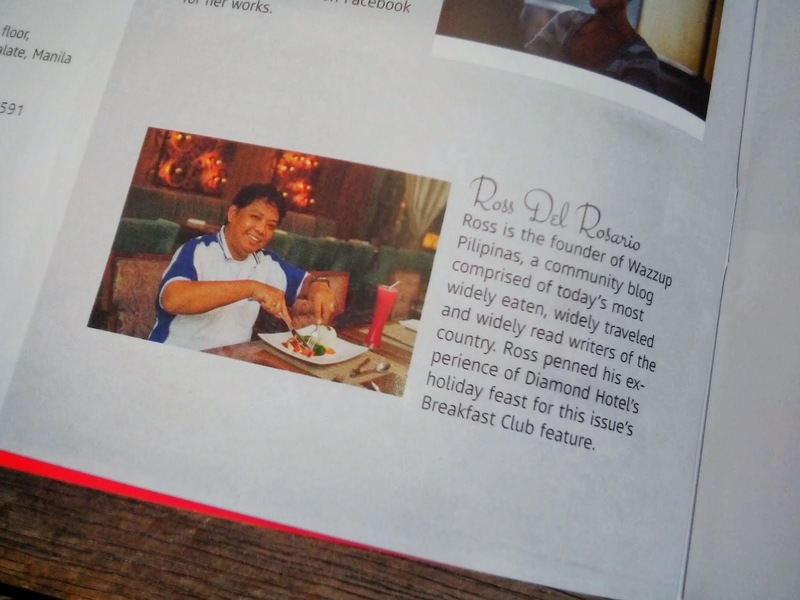 Food is an integral part of the Filipino culture, with every local reportedly eating up to 5 meals a day! Trying some street food will cost you only $1. If you decide to eat in a café or a restaurant, be ready to pay up to $20 depending on a location you choose. Food and drinks can cost you some fortune, so make sure you spend your money smart. When traveling around the Philippines, make sure that you use public transportation. Stick to ferries, if you have some time and travel on a budget. Use long-distance buses if you need to go to a distant location. While in the Philippines, you’ll spend most of your budget on activities. For example, diving with the sharks can cost you up to $25 dollars. 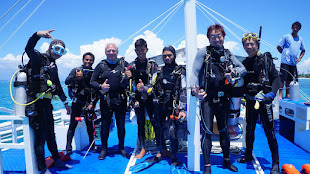 However, you can choose snorkeling: hiring a snorkeling gear can cost you only $5 max. To save on the activities, try to bargain: the chances are that the owner will give in and you’ll get to save some cash. 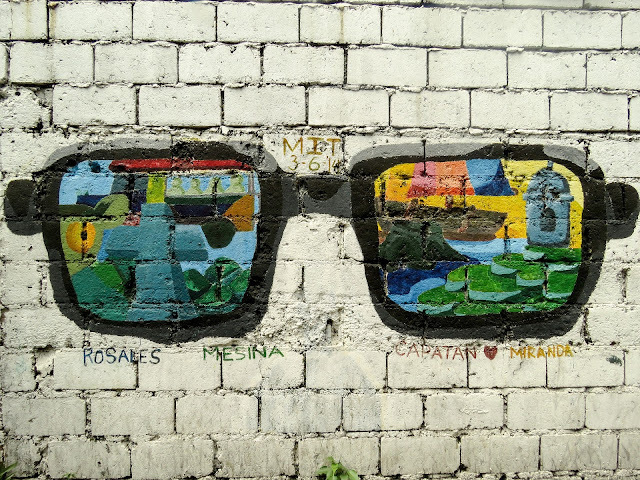 Traveling to the Philippines is a must-do for every student! Hopefully, these tips will help you plan your journey smartly in order to enjoy every minute of it. September always marks the start of the long Pinoy holiday season—malls start playing Christmas carols long before Halloween decorations are even up. This year, it’s also the month to mark Puregold Price Club Inc. delivering the best in value and service to Filipino families for the last 20 years. For the second year in a row, the country’s leading telco joins forces with the country’s top supermarket chain to give you even more panalo deals. Globe Telecom and Puregold have partnered up for the best 917 Day yet! Loyal customers can expect exciting rewards and exclusive offers ranging from discounts to load value. Mark your calendars for 917 Day and join Puregold as they celebrate their 20th anniversary with special promos for Globe users! For mobile customers, get FREE P17 load when you buy any Globe or TM SIM from 9:17 A.M. to 9:17 P.M. on September 17, 2018. For broadband customers, enjoy FREE P200 load and tumbler for every purchase of a Globe At Home Prepaid WiFi from September 15 to 17, 2018 in participating Puregold branches. Globe and Puregold have been solid partners, supporting Puregold’s Aling Puring members attain savings and achieve their dream businesses. In 2013, Globe and Puregold launched the Aling Puring Super Suki SIM, a multi-function SIM card with exclusive deals that also enables members to sell prepaid loads as an additional source of income. To date, there are 159,000 Active Super Suki SIM sari-sari store owners and micro-entrepreneurs who have benefitted from the perks of the card. 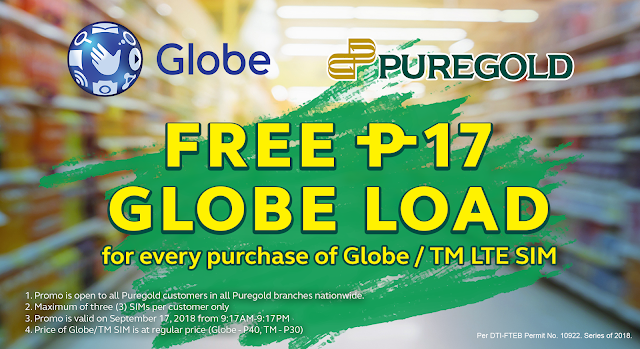 Besides the Aling Puring Super Suki Sim, Puregold shoppers also enjoy other convenient Globe services like Cash in/out, Remittances, Bills Payment, just to name a few. 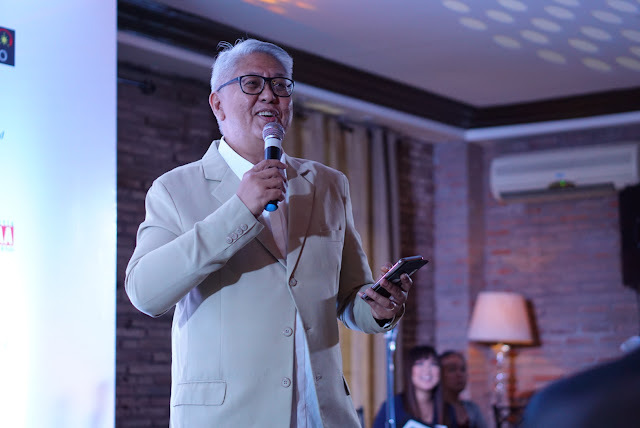 From the start of the partnership, both Globe and Puregold have always believed in inspiring families to realize their dreams and in supporting Filipino entrepreneurs sustain their dream businesses. Celebrating 917 Day is an example of this shared vision. 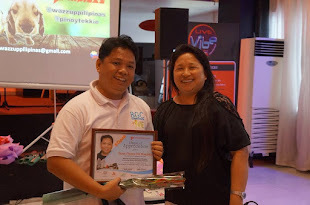 It is a happy reminder of the commitment to help enrich the lives of Filipino families through communication technology—and with services and features that are both user-friendly and relevant to the times. 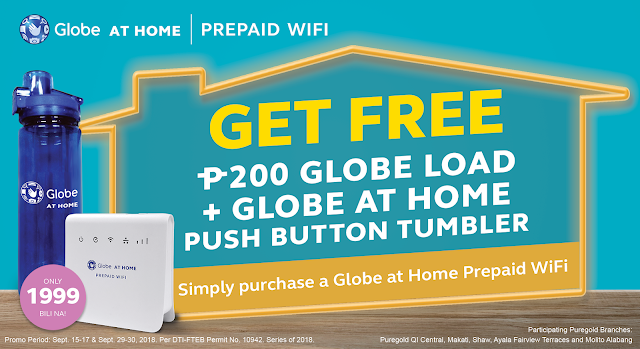 Stay tuned to the latest news and promos by following Globe on Facebook and Twitter. 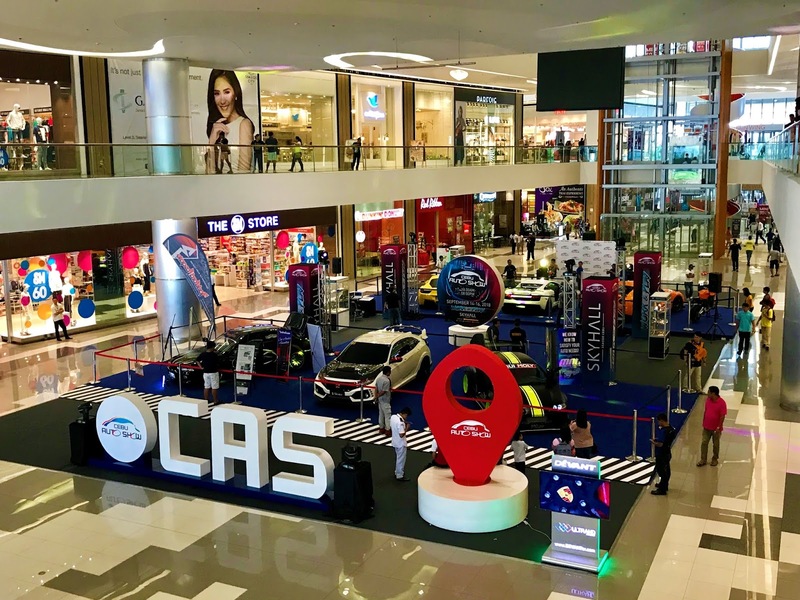 Now on its 11th year, the highly-anticipated Cebu Auto Show or simply, CAS, is back to host another spectacular automotive trade event. Officially opened its doors last September 14 at the SM Seaside Skyhall, a grand opening launch was held at the lobby of the show venue. 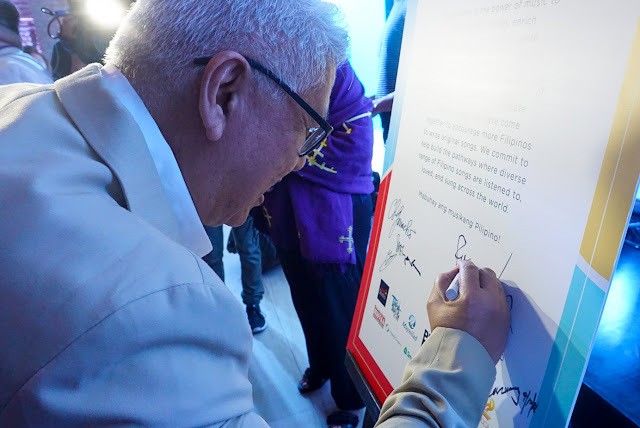 Among those who were present during the momentous program and took part in the ribbon-cutting ceremony were Director Eduardo Montealto, Jr. of the LTFRB Region VII, Michael Vincent Chua of DCPH Cebu, and car enthusiast Bunny Pages along with Worldbex Services International’s key executives including Founding Chairman Joseph Ang, Marketing Director Jon Richmond Ang, Managing Director Jill Aithnie Ang, Executive Director Archt. Francisco Flameño Jr., and Levi Ang. 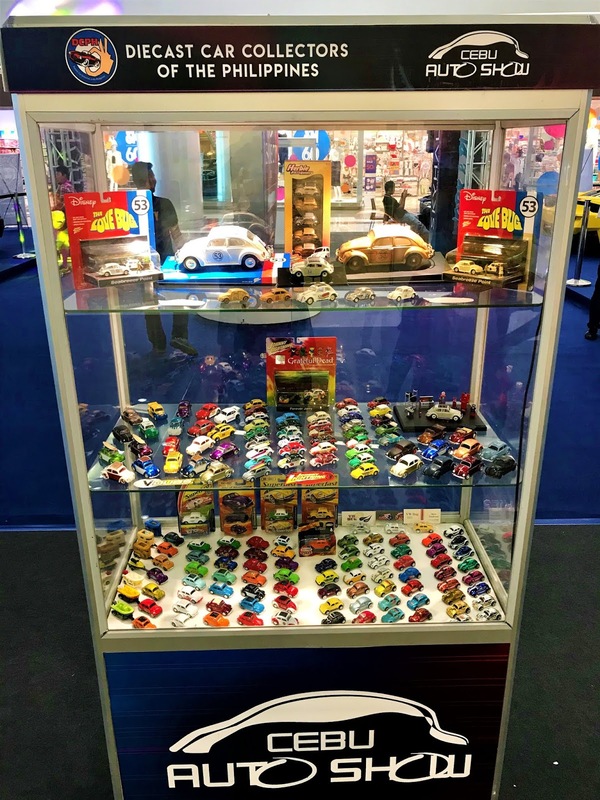 Aside from housing the most comprehensive line-up of automotive exhibitors, CAS is best known for hosting some of the most exciting car competitions and jaw-dropping collector exhibits. This year, attesting to CAS’ growing prestige as the region’s top-billing auto show is the incredible number of categories that make up the 2018 CAS Custom and Classic Car Competitions. To be exact, participants will be besting it out in 21 categories. Currently, countless individual car owners and various car clubs from across the region have already signed up to compete. Among the categories at this year’s competition include Best Race-Inspired, Best Model, Best Lighting Display, Best Korean, Best Japanese, Best Interior, Best in Tuning, Best in Stock, Best in Stance, Best in Show, Best in Rims, Best in Paint, Best in Japanese Domestic Market, Best in Flush, Best in Engine, Best in Color, Best in Classic, Best in Body Kit, Best in 4x4, Best Exterior, and Best European. 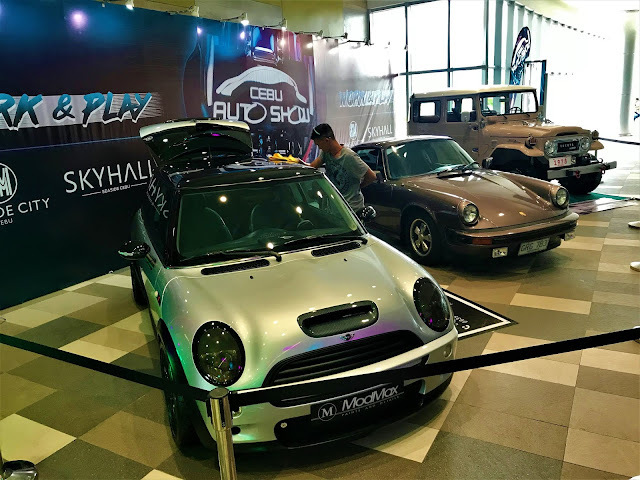 Organized by Worldbex Services International – the country’s leading events and exhibitions organizer – the 11th Cebu Auto Show will run until September 16, from 10:00am to 8:00pm at the SM Seaside Sky Hall. Admission is free and open to all. For more information, follow Cebu Auto Show on Facebook and @cebuautoshow on Instagram. 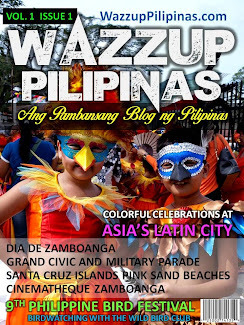 Alternatively, one may call (02) 656-9239 or send an email to info.worldbex@gmail.com. Did you ever get into the situation where you had a glass broken at home or office, car or shop etc., and need it replaced soon, and know not about what to do? Well, this is a typical situation that may happen to you any day and occurs with many. The difference is how you react to this crunch situation. Broken glass in some cases may be a small matter, and maybe a severe issue in others. If the glass door or wall in a shop front breaks it is a serious issue, and also in case of the car front glass etc. it can be severe. But if the small mirror at home or the tabletop breaks, then things are much more manageable, and you have time. Depending on the seriousness of the broken glass situation the emergency is called for. And you must have an emergency glass Adelaide repairing service provider nearby to refer to for such cases. Why call for an emergency glass repairing service? An emergency service provider will come to your place instantly on getting a call, and you will not have to wait in a situation where broken glass pieces are everywhere, and you are protecting people around you from the sharp piercing remnants of a glass body. An ordinary glass fitter would come as per their own time, and take measurements of the broken glass, take the order, finalise with you, and then again come another day with the new glass part for fitting it. It will delay the repair for hours or days. 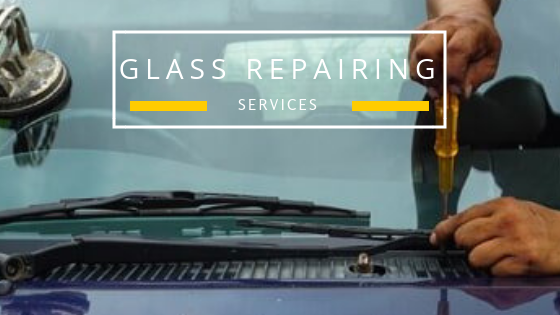 But an emergency glass repairing service would come prepared for the replacement with glass pieces of varying sizes and thickness with them. In case nothing suits the repair, they will always have something to suit it in their workshop, which they may bring quickly again on the same day to fix things. Emergency repairing services will always be equipped with the right set of tools etc. which are needed to work with broken glass edges safely; sharp edges etc., and fit the new glass. Due to the extensive experience of repairing glasses at various places and situations, they would have the expertise to deal with the crises with the right know-how thereby giving you perfect solutions. They will have the right work safety tools to protect hands and feet while working with broken glass. You can have a broken glass repairing service which attends on any such emergency calls by searching the internet. Keeping the contact number of one such agency in your area is much necessary if you work or live in an environment containing much glass made things or glass doors, walls, or screens etc. Department of Energy (DOE) Secretary Alfonso G. Cusi today assured the public that the energy family is on top of the situation amidst the anticipated onslaught of Typhoon Ompong to ensure safe and secure energy. 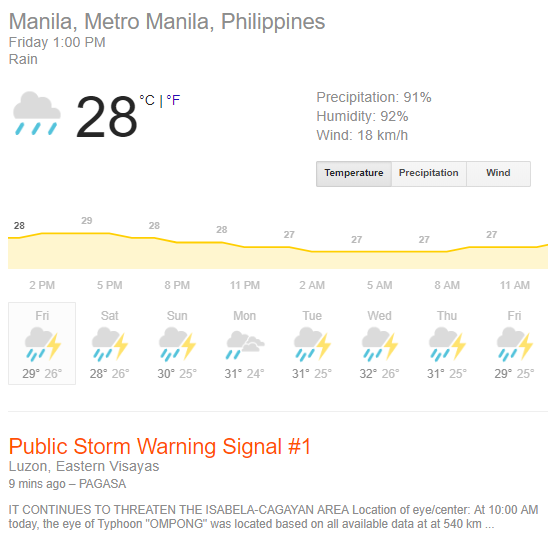 “The entire energy family is closely monitoring Typhoon Ompong. The men and women of the National Grid Corporation of the Philippines, the National Power Corporation (NPC) the National Electrification Administration, our electric cooperatives, and private energy companies are prepared and ready to respond,” he said. Based on the consolidated report of the Task Force on Energy Resiliency, NPC monitors the operations of hydroelectric dams, particularly its water levels to ensure safe and efficient operations. As of the 12 noon report, Ambuklao and Binga Dams in Benguet are already conducting water spills following water levels at 751.02meters above sea level (masl) and 573.85masl, respectively. The discharges are made to maintain normal water level in the reservoir. San Roque Dam gates are still closed at 2:00 p.m. with water level at 274.26 masl and Angat Dam at 206.40 masl. For the transmission system, NGCP reported that affected lines are Palanas Cara – Catarman – Allen – Lao – Ang 69kiloVolt (kV) Line affecting the Northern Samar Electric Cooperative, Inc. (NORSAMELCO). NGCP mobilized line crews and are currently conducting aerial and ground patrols to assess the impact of the southwest monsoon to expedite restoration of affected facilities. The Paranas – Quinapondan 69 kV affecting Eastern Samar Electric Cooperative, Inc. (ESAMELCO) was restored 8:54 a.m. today just two hours after it went off. On the distribution side, NEA reported that power in affected electric cooperatives in Samar provinces have been restored before noon time Friday. These are NORSAMELCO, ESAMELCO and Samar I & II Electric Cooperatives, Inc. In case a State of Calamity is declared, the DOE reminds all oil companies that price freeze on liquefied petroleum gas (LPG) and kerosene products will take effect for 15 days after the announcement. The DOE family assures the public that the energy sector is synergized in responding to these trying times. 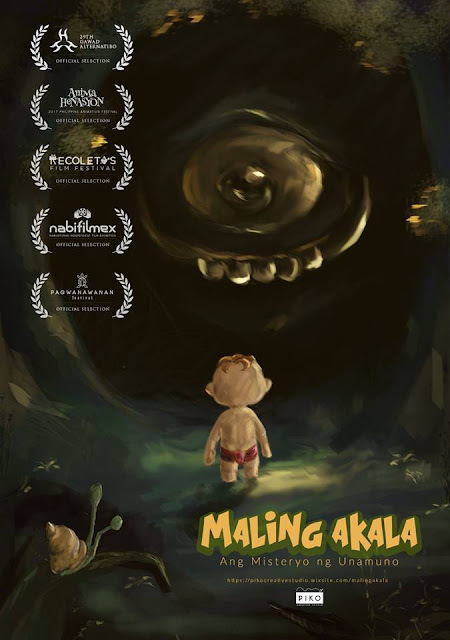 Maling Akala, on the other hand, takes on a legendary Philippine mythical creature and a mischievous child as they journey through the woods after a calamity hit their village, Unamuno. Their paths cross and they go on an adventure together. Produced by Piko Productions as a requirement for Prof. Ronwell Bacani’s class, the five-minute animated film was selected as one of the finalists at the Animahenasyon: 11th Philippine Animation Festival, Gawad Alternatibo in 2017 and Recoletos Film Festival last February. How the Beasts Got Hyped focuses on the daily routine of hypebeasts, which share a mutual interest for street-style fashion, providing a sense of community for its followers, while Yero shows the life and daily struggles of two factory workers, Armando Bucog and Rowil Galicia, inside a corrugated iron factory. 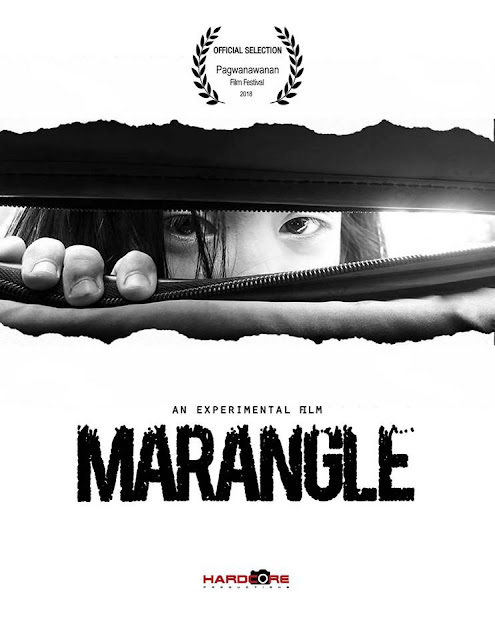 Both documentaries, which were also produced under Legaspi’s video production class like Marangle, previously competed this year at the 30th Gawad Alternatibo. VISAYAN ENERGY OPPORTUNITIES: Department of Energy Assistant Secretary Redentor Delola presents the Philippine energy situation and the various energy investment opportunities in the Visayas region during the 2018 Visayas Energy Investment Forum held at Cebu Parklane Hotel on Thursday, 13 September 2018. 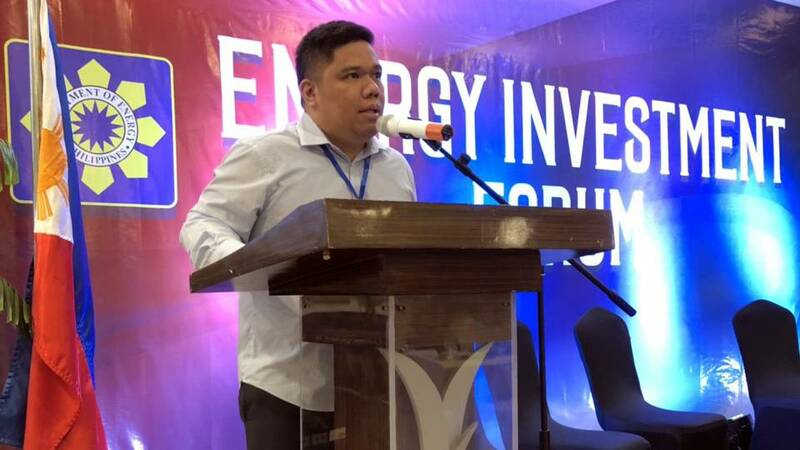 CEBU CITY - More energy investments are expected in the Visayas region with the Department of Energy (DoE) holding of the 2018 Visayas Energy Investment Forum on Thursday, 13 September 2018, at the Cebu Parklane International Hotel in Cebu City. 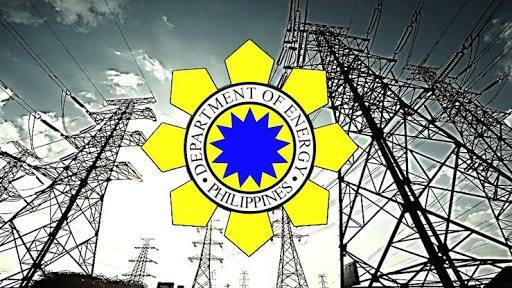 “We are aggressive in linking investors with various sector partners in order for us to speed up the materialization of energy projects, not only for the Visayas but for the entire country,” said Energy Secretary Alfonso G. Cusi in a message to the forum participants read by DoE Assistant Secretary Redentor E. Delola. The forum aims to update stakeholders on the investment opportunities in the energy sector, financing facility available for energy projects, the government’s role in facilitating the implementation of energy projects and private sector experience in the development and implementation of an energy project. The panel discussants were composed of DoE Asec. 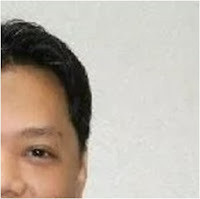 Delola, National Grid Corporation of the Philippines’ Engr. Christian B. Ereño, Department of Agrarian Reform’s Atty. Jamila Bunsa, Regional Development Council-Infrastructure Development Committee VII Glenn Anthony Soco and Atty. Marissa P. Anino of the Development Bank of the Philippines. Other energy investment fora are slated for Mindanao on 11 October and Luzon on 4 December. This September 2018, the UP Sanlahi Alliance will celebrate its 43rd Anniversary through GUNITA. Join them as they showcase different cultures representing different provincial, regional and ethno-linguistic backgrounds of our nation. Witness the solidarity, camaraderie and unity amidst diversity of the 19 organizations composing the alliance through participating in their events this coming September. The alliance pioneers the widening awareness and appreciation of the time-honored cultures and traditions among fellow Filipinos. Experience the fun by joining Pabilisanlahi, the culturally-relevant amazing race. See you all on September 17, 2018. Sanlahi brings you the most enjoying quiz show aiming to promote awareness about the facts, trivia and information about the Philippines. While you enjoy, you also get to refresh stock knowledge and learn new facts. 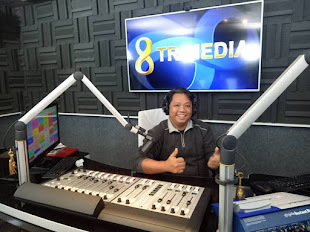 Join our quiz show on September 19, 2018. The culmination of the whole Sanlahi Month, ending with the pageant that promotes the different cultures from within our country while at the same time promotes gender equality. For this year, see the provinces' delicacy and be the first one to be updated about this competition and about our contestants and the pride of their own provinces. Watch out for some exciting twists and surprises as September 27 gets nearer and nearer day by day. On September 25-27, the UP Sanlahi Alliance will be posting an Exhibit about the pillars that support the Alliance at the AS Lobby, Palma Hall, UP Diliman. Know more about them by visiting the exhibit. Don’t miss it out! 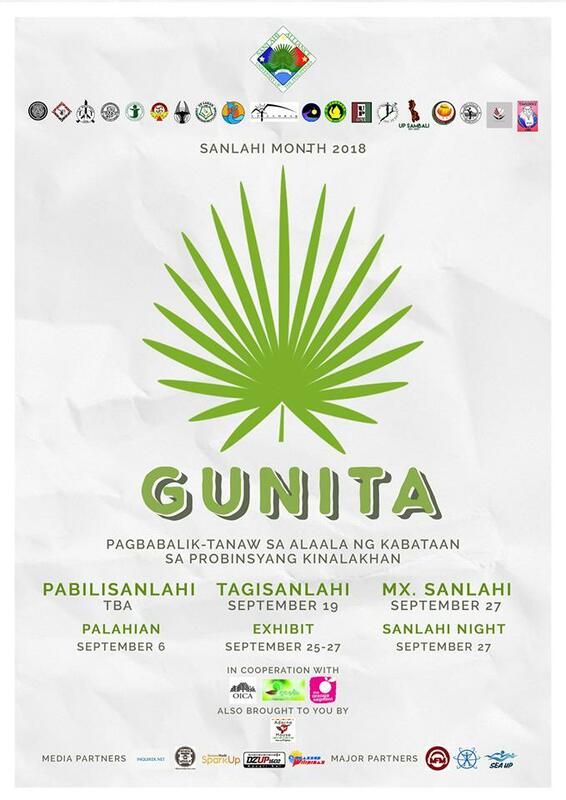 Gunita is presented to you by UP Sanlahi Alliance. In cooperation with UP Diliman's Office of the Initiative in Culture and the Arts, Keesh Wellness Spa and Orange Segment. Also brought to you by Adarna House. And in partnership with SEA UP, Philippine Society of Youth Science Clubs and Maroon FM. How Can You Maintain a Good Credit Score to Save Your Money? Financial management can be a tricky situation sometimes. 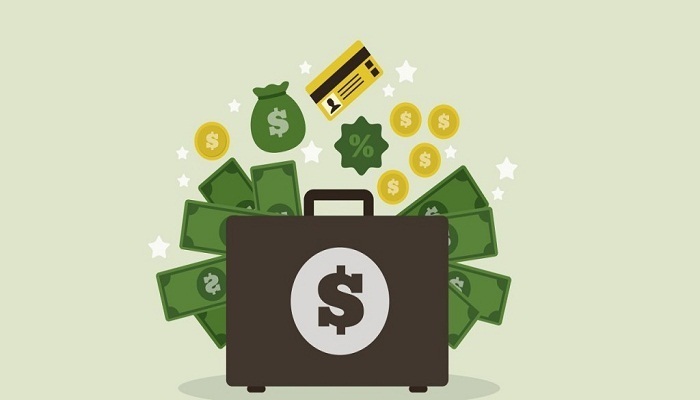 Whether you are just beginning the journey to your financial independence or searching for new ways to enhance your present credit score, you can follow a few easy steps to attain your desired result. With a few easy techniques, you can manage your finances in an easier way than you thought was possible. In this way, you can boost your credit score that can help you get into a better financial situation. There are times when you might notice specific errors that can and will affect your overall credit score. There are also other situations such as theft of identity and fraudulent dealing of cards that can damage your credit report. If you have an understanding of how to maintain your credit score than you can enjoy many benefits. You can get a comparatively lower interest rate on your loans and cards. Not only that but if you can manage a good credit score report, then you can be sure to save money on your insurance policies and also deposit amounts. You can follow the basic rules mentioned below to get a good credit score and use it to your advantage. If you do a little research and find out about good credit reports, you can effectively manage it and get advantage from it. You need to know these few vital information when you are calculating a good credit record report. When calculating this, you also need to understand that not every aspect of your financial history is relevant or affect your credit report. Just consider what is important here. The question people keep asking the most is how long it takes for one to get his credit record on point. If you are one of the people who is just starting out on their financial journey, then this is a fundamental question for you. So, exactly how much do you need to improve your credit record? There is no simple answer to that. You may see many companies who claim to improve your credit score almost in a day, but truth be told, there is not a hard and fast rule to do this. Also for every individual’s problem, the solution would vary depending on the situation. For some, it may take months to improve their credit score as every person's financial situation is different. The first thing you need to do is get control of your credit score. For this, you have to have the proper plan and decide that you need to have control over your current situation. The first step is inside your head, and you need to decide that running around will not get your problem solved. You need to keep a check on your overall credit score. This score is significant as it can affect your whole financial situation considerably. Not only that, but it also can influence your future in ways you cannot perceive at your current position. You need to understand that a good credit score can save you money in the long run, in direct and indirect ways. If you are planning to start your own business and apply for loans, then you need to keep and maintain a good credit score. It will help in stabilizing your present financial situation and get you opportunities beyond your imagination. It may sound scary in the beginning, but you need to get control over your fear and find out your credit score situation or else you cannot optimize it. The best possible solution to get a hangover any problem is to understand the case inside out. So you shouldn't be afraid to find out your score. It is a crucial indicator to understand the present situation of your financial health and also it will help your future lenders to recognize your worth as a creditor. That can help you apply for loans easily in the future as well. There is a connection between finding a solution to your problem and the mindset you have regarding it. Just obsessing and stressing over the issues will not help you in any way. To get out of a problem and optimize your credit score, you need to understand the situation thoroughly first. If you do this, then you can make better financial decisions in the future that will impact your credit score and also help you utilize your money in a better way. If you understand clearly the factors that affect your financial situation and credit score, then you can calculate the steps needed for you to create the perfect financial condition for you to prosper. Getting your credit report often reviewed and paying your bills on time can help in getting your broken financial situation fixed. Once you stop worrying and start working on the problem and assess the loopholes, you will begin observing progress. Factors like excess credit inquiry can help you understand the negative aspects of your finance. So you can avoid making the mistakes that caused it in the first place and refrain from them in the future. The best piece of advice anyone can give you regarding this is that you always need to monitor your credit score to help you keep from making bad choices. Whatever your credit scores may be, it is still a smart decision to keep it under check and always be aware of your situation before any problem arises. After all, the best solution is prevention rather than finding a cure. Make your own Expression - the bannering tagline of this year’s biggest self-empowering event “Express Yourself Party” by Expressions. Express Yourself Party pioneered last year that aims to promote positive self-expression among individuals. Express Yourself Party is an art-based activity that ignites one self-interest in art, culture and social interaction. The activities featured in this fun-filled event are painting, doodling, calligraphy, and crafting. The success of last year’s Express Yourself Party resulted to expand the event and reach more stores this time around. From 26 stores last year to 34 this year. Aiming with the same objective, this year, it’s still easy to join. Purchase among these merchandises, Tumbler, Cap, Eye Mask, Apron, T-shirt and Coaster priced affordably. By just simply purchasing one of those merchandises anyone will be given access to join the party. Buffet of art and craft materials are available and free on the day of the event wherein they get to choose the materials they want to use to personalize their merchandise. Materials comprise of different color of paints, brushes, pens, fabric markers, calligraphy pens, beads, and loads of other art and craft materials. These materials are provided by Expressions event partners, among them are Marvy Uchida, Colleen, Deli, Valiant, Prestige Paper Products, ICre8, and Elmers. Selected partners also have activity booths in most of the event locations, participants can experience and enjoy their products and activities. On top of that, participants are given a chance to meet art enthusiasts wherein they can get inspiration and share their thoughts and experiences. The event begins this September and ends this coming October. The event is scheduled every weekend at different locations across the country. It is a whole day activity that runs from 10 am to 5 pm. As more and more individuals discover their inner self, Expressions will continue to make an avenue wherein fun, learning and creativity meet. Expressions expect a double result this year because they are aiming to bring this event to all Expressions stores nationwide next year. The Metrobank Foundation, Inc. (MBFI) will recognize this year’s awardees of theMetrobank Art & Design Excellence (MADE) on September 20, 2018 (Thursday), 5:00 PM, at the Le Pavillon, Metrobank Ave., Metropolitan Park, Roxas Blvd. Cor. EDSA Extension, Pasay City. US Ambassador to the Philippines Sung Yong Kim and Cultural Center of the Philippines chairperson Margie Moran-Floreindo will serve as Guests of Honor. 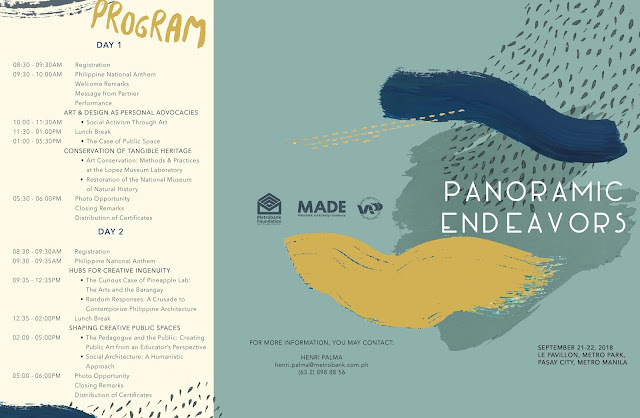 Under the Painting Recognition Program, “Kanya-kanyang Tinik, Kanya-kanyang Landas, Iisa ang Ginagalawan” by Noel Elicana and “Destroyed” by Alex Ordoyo will receive the Grand Award, while “The Sacrifice” of Francis Eugene Andrade and “The Diminishing Memories of Home” of Roland Llarena will be given the Special Citation. On the other hand, as a partnership with Federal Land, Inc. (FLI), the Sculpture Recognition Program awards Maria Ronna Lara-Bes’ “Interconnected” the Grand Award. The Grand Awardees will each receive a financial assistance worth PhP500, 000 and the “Mula” glass trophy designed by 2009 Metrobank Prize for Achievement in Sculpture Awardee Noell El Farrol. 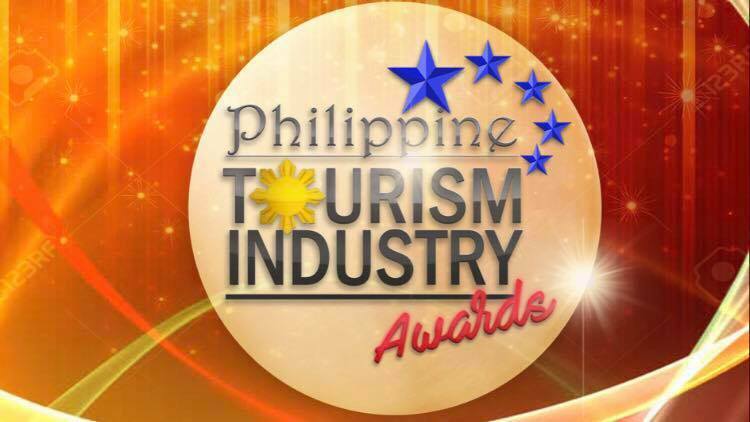 The Special Citation awardees, on the other hand, will each receive a special cash incentive and a “Mula” trophy. 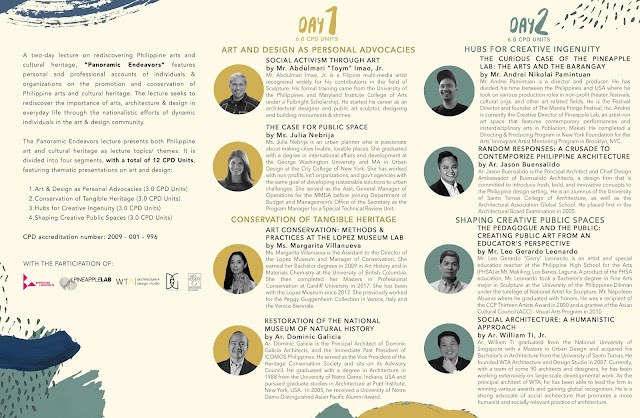 The evening ceremonies will also unveil the “DISCOVER” Exhibit which will showcase the works of this year’s MADE semi-finalists as well as the “Voyage of the Senses” Exhibit which will display the artworks of past MADE awardees such as Rolando Ventura, Eugene Jarque, and Clarence Eduarte. A two-day art lecture entitled Panoramic Endeavors will also be held in the same venue—“Art and Design as Personal Advocacies” on September 21 and “Hubs for Creative Ingenuity” on September 22 from 9:30AM to 5:00PM. 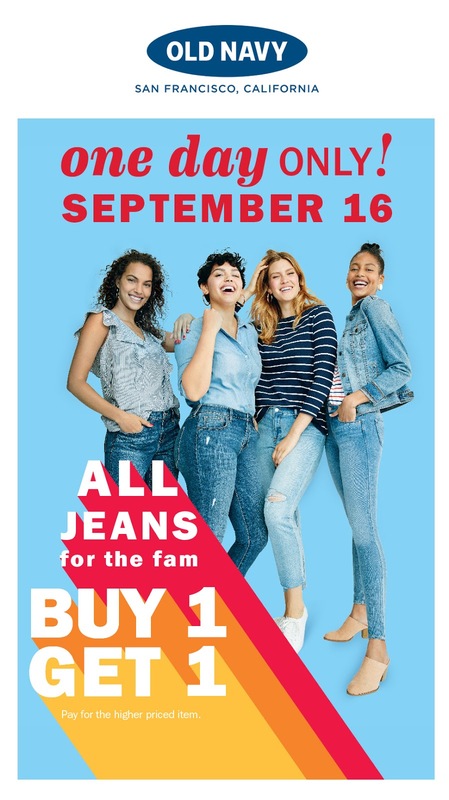 For one day only, Buy One, Get One on all jeans for the fam! Double up on denim as Old Navy celebrates its biggest denim event of the year. Mark your calendars on September 16, 2018 and enjoy Buy One, Get One on all jeans for the entire family at all Old Navy stores in Metro Manila. Powered by denim, Old Navy is paying homage to the ultimate wardrobe staple – jeans. Celebrating that trusty, go-to outfit that is with you through thick and thin, Old Navy’s jeans are made for real-life challenges with fits for the entire family to enjoy. A hot new look for the season is the Rockstar fit jeans with Secret-Slim Pockets. These innovative front pockets are sewn directly into the zipper, which means they deliver clean lines that flatter and hold the wearer in. Plus, the higher waist elongates the frame. These jeans really do smooth and flatten in all the right places and come in a range of sizes. And what’s the best way to show off these waist-defining jeans? Style them with back to dark florals, boldly striped tees or the sueded moto in fall colors – tucked in obviously! In a bid to enhance mobility and connectivity, and to help address congestion at the Ninoy Aquino International Airport (NAIA), Transportation Secretary Arthur Tugade once again reiterated his position to develop multiple airports in the country. In a senate hearing to discuss issues and proposed solutions in line with the NAIA mishap involving Xiamen Air held last Monday, 10 September, Sec. Tugade reiterated that the direction of the Department of Transportation (DOTr) is to construct new airports, and improve/rehabilitate/expand existing gateways, such as the NAIA. "We have our Aviation Roadmap. Phase 1 is to improve and enhance our primary gateways such as NAIA and Clark International Airport. Kasama din nito ay ang paghahanap ng bagong airports such as Sangley and Bulacan," Sec. Tugade said. Expansion of the Clark International Airport, which is pushed as an alternative to the premier gateway NAIA, is currently underway. The new passenger terminal building (PTB) broke ground on December 20, 2017, only six months after NEDA Board approval. The new PTB is designed to accommodate an additional 8 million passengers every year. Construction of the new terminal, which is now 10% complete, will complement other infrastructure projects in the area such as Manila-Clark Railway, Subic-Clark Cargo Railway, and the New Clark City. The MIAA Board has also recommended the granting of Original Proponent Status to the NAIA Consortium for the NAIA rehabilitation project, which includes the improvement and expansion of terminals, construction of additional taxiways, and other support infrastructure. The Concession Agreement will run for 15 years. The DOTr is finalizing the Terms of Reference and completing all the documentary requirements that will be submitted to NEDA ICC. Further, the DOTr is likewise working to develop and rehabilitate regional airports, and make them available for night-rated operations. "Before we came, nasa 15 lang, ngayon higit 20 na ang commercially-operated airports na night-rated. Kasama nito ang improvement ng runway," he added. Meanwhile, the new Rapid Exit Taxiways (RETs) at runway 06-24 of the NAIA Terminal 1 had been inaugurated yesterday. These runway exits aim to decongest the long lines of departing aircraft as they allow an aircraft to leave the runway at a faster speed. “This has been conceived a long time ago. It's only now that [because of] political will, [we are able] to do it. Indeed, this is a milestone project and will benefit our passengers,” said Executive Secretary Salvador Medialdea, who witnessed the inauguration along with Tugade, DOTr Undersecretary for Aviation and Airports Manuel Antonio Tamayo, MIAA General Manager Ed Monreal and CAAP Director General Jim Sydiongco. Moreover, Sec. Tugade explained that proposed airports in Bulacan and Sangley, Cavite, are part of the Aviation Roadmap, which will address the congestion issue in NAIA. The Concession Agreement for the new Bulacan airport is being finalized, while the legal framework for the implementation of the Sangley airport project must first be identified by the Cavite Provincial Government. 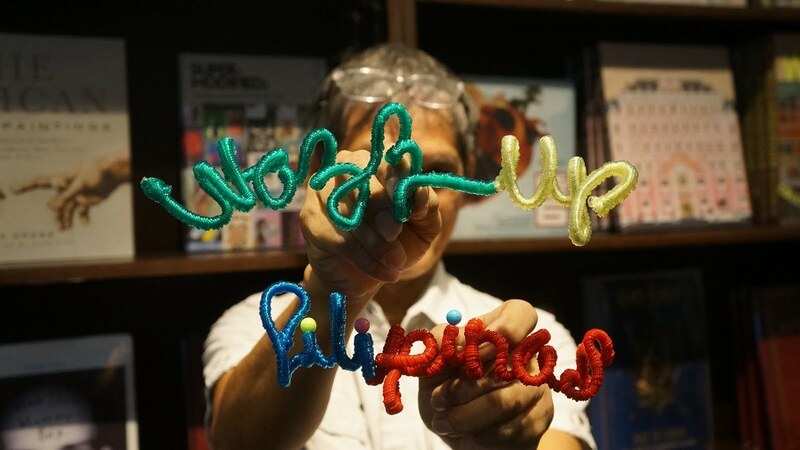 Education will always be a main priority for Filipinos and in a world that’s getting more and more connected, it always pays to have a world–class higher education. 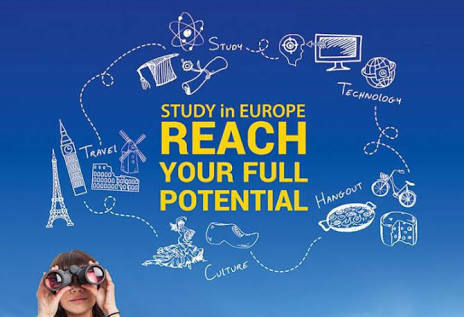 On 10 October 2018 at the Shangri-La Plaza, the European Union provides this opportunity as it opens its doors to Filipino students looking to expand their horizons through post-graduate studies. Organized by the Delegation of the European Union to the Philippines together with EU Member States’ Embassies and Campus France, Instituto Cervantes, Philippine-Italian Association, Goethe Institut in partnership with the Commission on Higher Education (CHED), the EHEF will feature universities and Higher Education Institutions (HEIs) from Europe. Getting a postgraduate degree from the European Union offers many advantages. An EU degree affords better possibilities for those who want to move up on their professional careers. It is also an excellent destination for academic and scientific research opportunities. Studying in Europe also proves to be a cost-effective investment. With an array of scholarship options available, international students can pursue postgraduate degrees. One such option is the Erasmus+ programme, which encourages deserving individuals to take further studies in the EU. The EHEF is designed to enable students to get quick yet comprehensive information on higher education and mobility programmes.